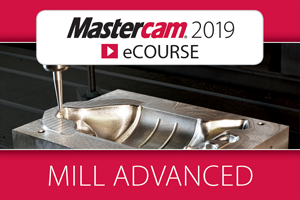 Expand your Mastercam knowledge, anytime and at your own pace, with our selection of step-by-step online video eCourses. 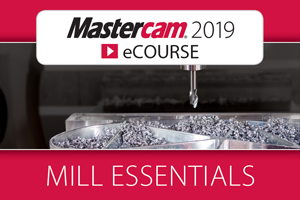 Recorded for In-House Solution by Colin Gilchrist of Gilchrist Consulting Services, this eCourse is offered free of charge to help you get started with Mastercam and to demonstrate the eMastercam.com eCourse system and quality. Mill Essentials introduces the Mastercam user interface and then gradually progresses to more advanced concepts. Students are exposed to geometry, drilling and creating contour toolpaths, and then learn about multiple setup scenarios and 2D high-speed toolpaths. Mill Advanced spans a wider degree of complexity and requires a good understanding of 2D machining. Content includes 3D wireframe, surface geometry creation, surface finishing and roughing toolpaths, STL stock creation and advanced surface high-speed toolpaths. Machine simulation is used to check for collisions between the part, the tool and any of the machine’s components. 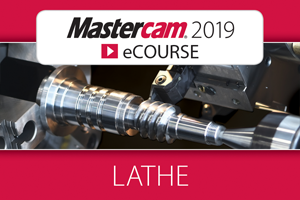 Lathe is suited to both beginner and current Mastercam users, and provides an excellent foundation in lathe work. Along with 2D geometry creation, the eCourse provides detailed coverage of several 2D toolpaths and emphasizes the machinability of parts with suggested fixtures and setup sheets. 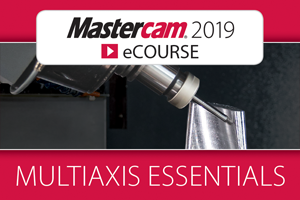 Multiaxis Essentials is aimed at advanced Mastercam users who want to learn Mastercam multiaxis programming, and requires a firm grasp of both 2D and 3D machining. This extensive eCourse covers a number of different applications. Mastercam eCourses can accommodate a wide range of users, especially those who are visual learners. Post-secondary institutions can easily incorporate the online materials into their curriculum, offering students a digital learning option designed to broaden their skills and prepare them for more advanced studies. The eCourses are also suitable for long-distance education programs. Job seekers or new employees interested in updating or expanding their Mastercam knowledge can work through the eCourses as slowly or as quickly as they like. 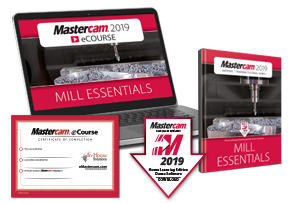 Online learning is ideal for businesses looking for a cost-effective way to train both new and experienced employees in a range of Mastercam subjects. Open term – No subscription or expiration date, learn at your own pace! Perfect for novice and seasoned Mastercam users! Online tutorials and quizzes expand and test knowledge along the way. Download of the current Mastercam HLE/demo software included. Personalized certificate of completion at the end of each eCourse. Approximate completion time ranges from 7.5 to 15 hours.